AFS Technologies helped Signature Brands move from spreadsheets to AFS™ Trade Promotion Management Retail (TPM Retail) to solve the complexities of dealing with trade spend on their thousands of SKUs and seasonal demand, delivering them the insights they needed and a clearer ability to forecast, which allowed them to identify areas for improvement within their business processes. 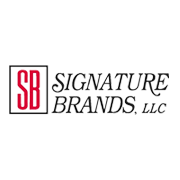 Due to its large variety of products, Signature Brands carries over 2,000 SKUs and stocks them at major accounts, including: Walmart, Target, K-Mart, and grocery supermarkets such as, Kroger, Albertsons, Safeway, and the seasonal Spirit and Spencer’s Halloween stores. They sell over 50% of their annual revenue in the last four months of the year. For many years, Signature Brands managed their trade spend using spreadsheets and an informal set of processes. “In the past, it’s been a spreadsheet bonanza, with different departments head-butting with each other over the accuracy of the forecasted budget,” said Lisa Seiffer, Sales Finance Manager, Signature Brands. Lacking a systematic approach for capturing deal sheets and getting approvals, Signature Brands struggled to have an accurate forecast on which everyone agreed. Additionally, the process was time-intensive, as it involved combining history and field sales data and then formatting and uploading the reports into their Enterprise Resource Planning system. Then emails were sent to executives to secure approvals before pricing and the deal could be entered into the system. “That became a time sink, as we would have orders waiting for that deal sheet to be approved. We would have to rush to get the deal entered before we could ship it out,” explained Seiffer. When it came to deductions, the open deductions would sit in accounts receivable. It was challenging to complete the deduction process because they were not able to confirm which accrual to attribute the deduction to and it would hit the company’s Profit & Loss. For example, when Signature Brands received deductions from their brokers, they lacked the visibility to confirm if it matched any accruals. When a new president, joined Signature Brands in 2013, he wanted to institute a trade spend analysis tool to ensure everyone worked within one consistent process and had one view into their trade spend that would be integrated into the company’s SAP ERP. After talking to several vendors, Signature Brands landed on AFS fairly quickly due to its easy-to-use interface. “When we reviewed AFS TPM Retail, we found the application walked us and the sales team through entering a promotion—which was probably the biggest plus for us,” said Seiffer. Once the decision was made to go with AFS, the implementation was broken into two phases: 1) Build the hierarchy and load the sales data and 2) Create promotions and integrate with ERP. “We were really happy that a new release came out while we were implementing, because it included new calendar capabilities, which helped us plan our calendar year as well as fiscal year. This was critical because we look at our time periods in months and not in weeks. I was also reassured that we made the right decision choosing AFS when I saw the types of new functionality that were coming out in new releases,” commented Seiffer. When they starting using AFS TPM Retail, Signature Brands saw improvements in getting promotions entered into the system in a timely manner to make sure accruals are correct and they are given the right discount to eliminate billing errors. “That was the gap in the spreadsheet world; it was one person tackling that and moving it through, and now there are more people looking at it,” said Seiffer. AFS TPM also ensures sales forecasts are available so the teams know what they are being measured against. Due to TPM Retail’s unique ability to plan and manage overlapping events, Signature Brands can look at customers by segment to ensure their trade events are profitable and aligned to brand strategy. 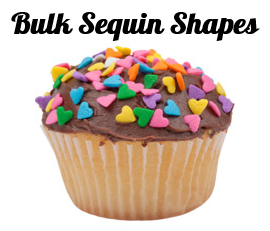 “We haven’t really reviewed customers by segments before in terms of core decorating. It’s not much more work, in terms of forecasting; that’s the part of it that is new. It’s a lot quicker to take the forecast temperature. Overall, it is a massive step forward from where we were,” said Seiffer. Their demand planner is able to see weekly extracts to share with sales to ensure forecasts are accurate. Signature Brands is seeing a lot of value by reducing billing errors, ensuring they have the right accruals or are giving the right discounts—which was another gap in using spreadsheets. Accruals were a big issue for Signature Brands, because it was important to get them right. In fact, open accounts receivables dropped significantly last year, and the company was able to stay within five percent of total AR.